Specially adapted Research Grade Leica microscope allowing confocal measurements with better than 2.5μm depth resolution (using a 100x objective), 2.5x, 20x and 50x objective. Atomic Force Microscopy (AFM) provides a variety of nanometric characterizations such as topography, conductivity, and thermal measurements. While very effective at measuring certain properties, AFM cannot identify the chemical composition of a given material. 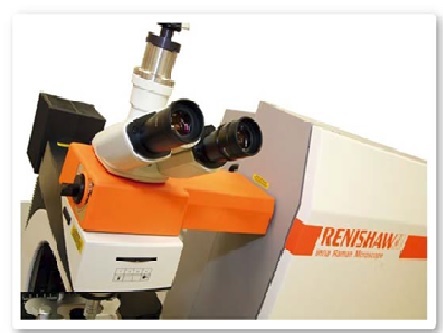 Raman spectroscopy, however, has emerged as a critical technique in the field of chemical characterization, accurately identifying and classifying materials in a number of diverse fields and industries such as: material science, chemistry, biophysics, semiconductors, and many more. Sample size should be (1.5 x 1.5) cm2 area and 3mm thickness.